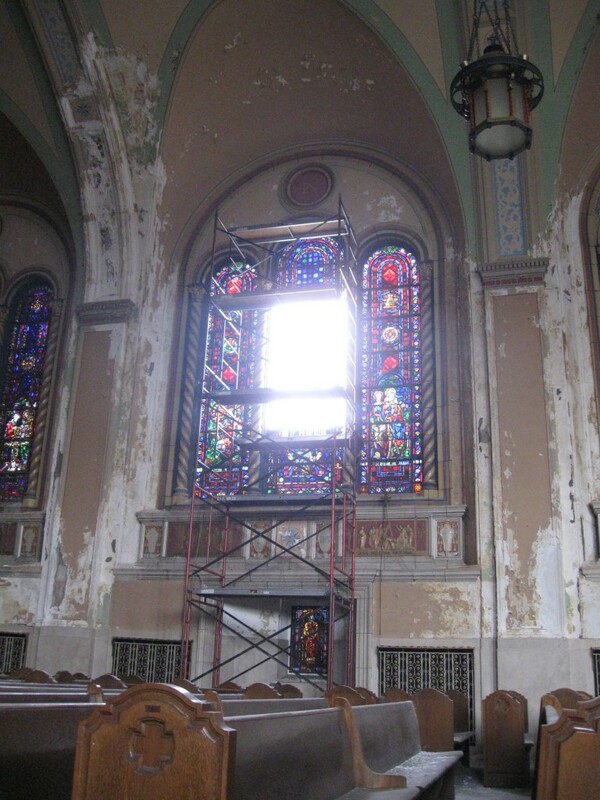 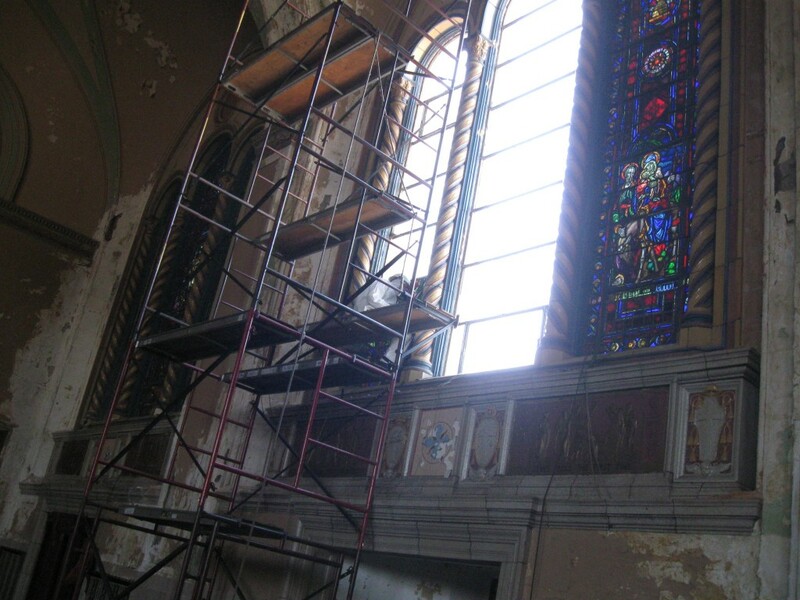 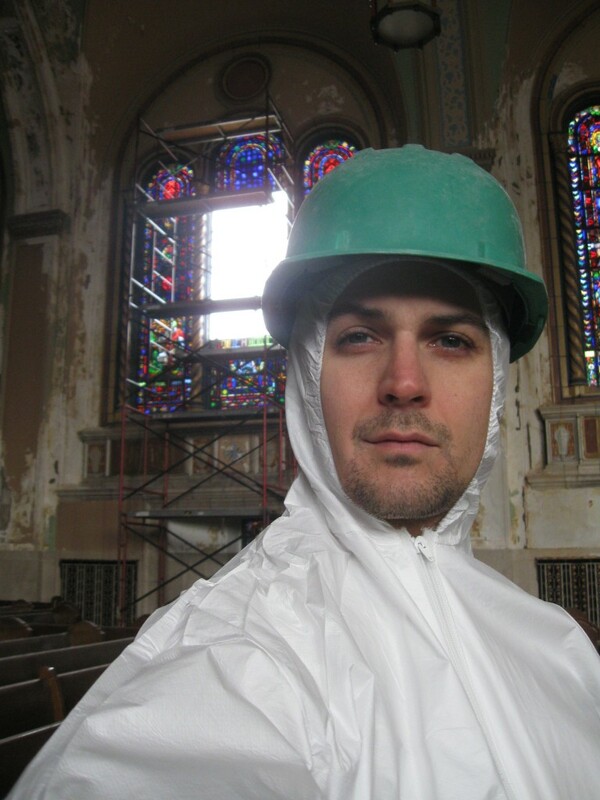 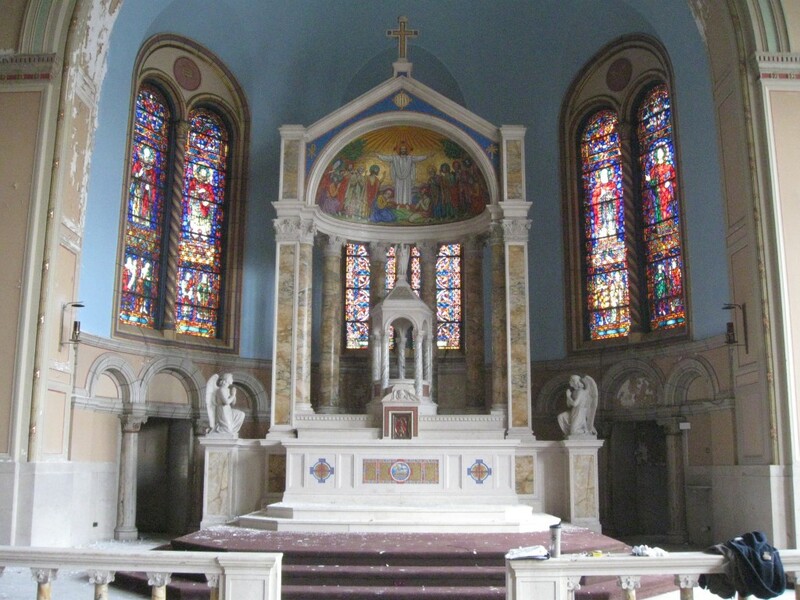 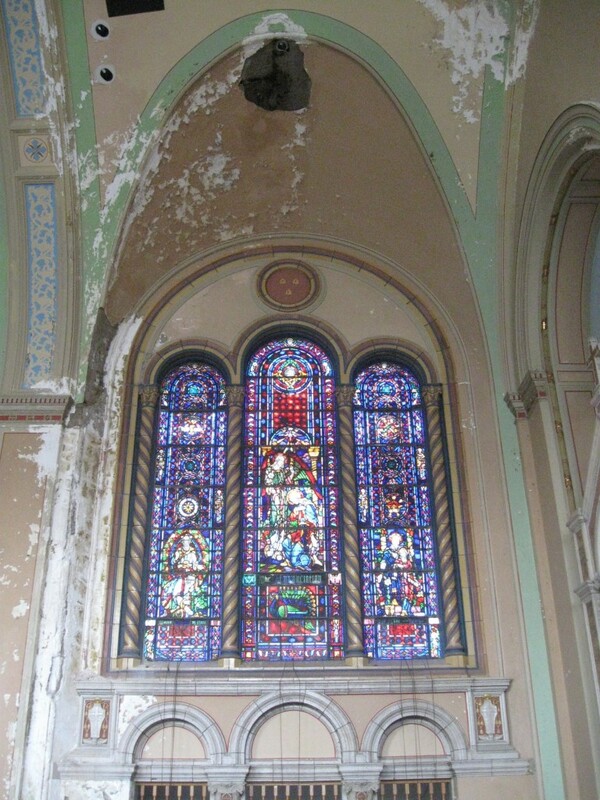 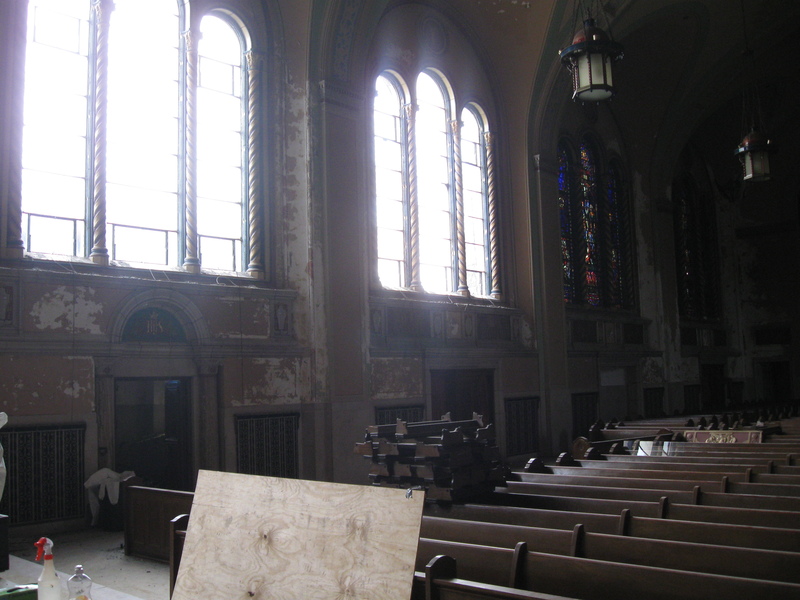 Below are images from the ongoing removal of stained glass windows at Ascension Church in the Kensington neighborhood of Philadelphia. 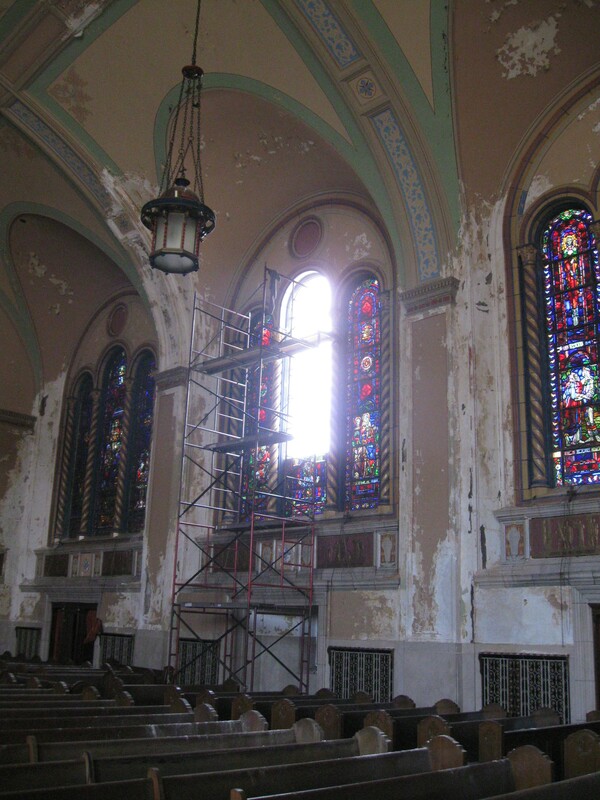 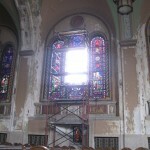 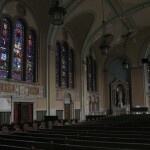 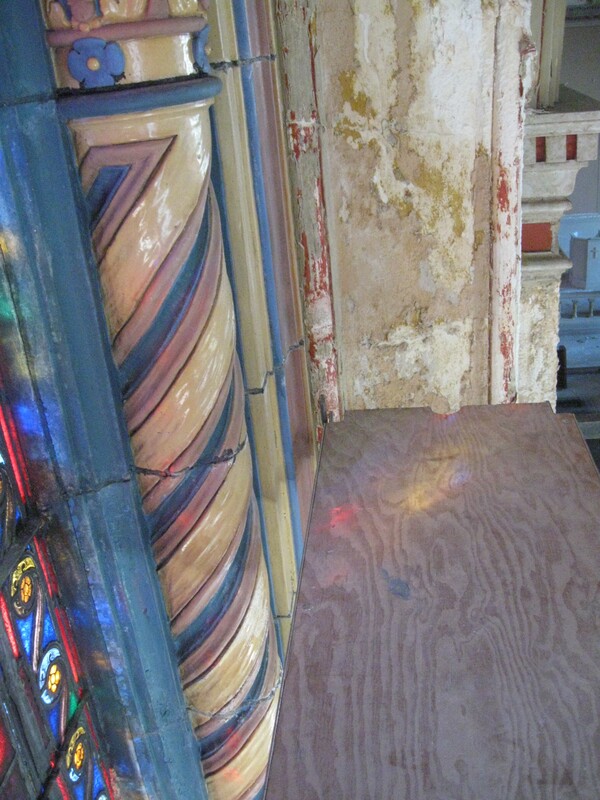 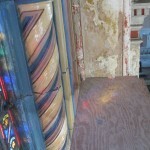 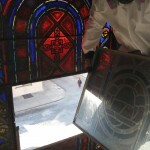 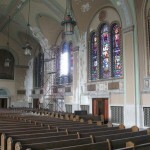 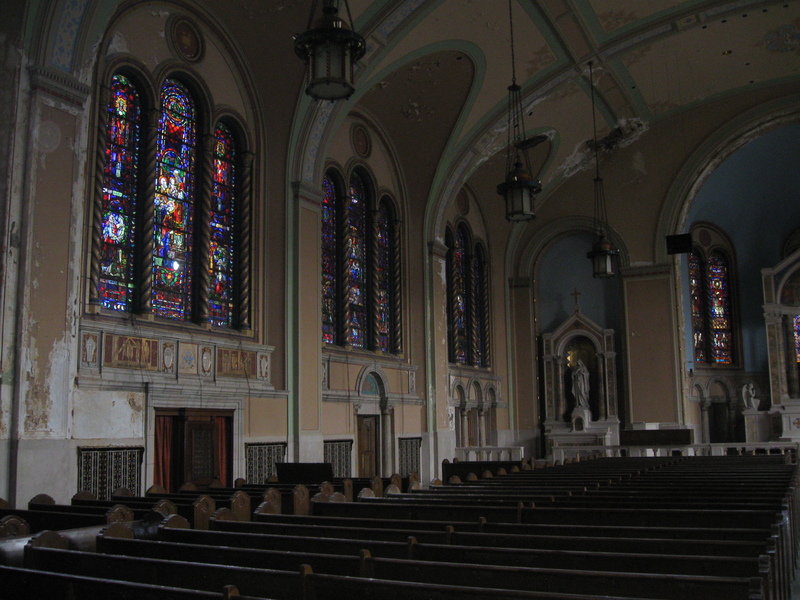 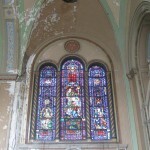 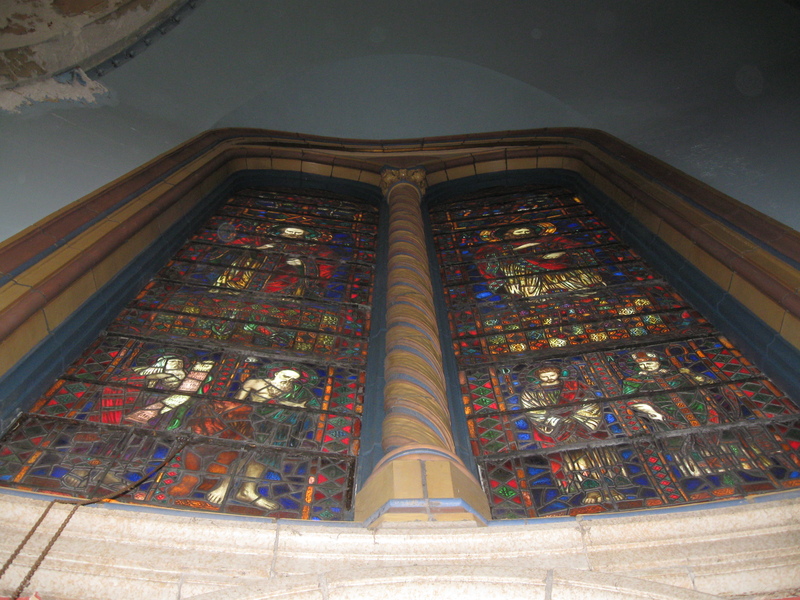 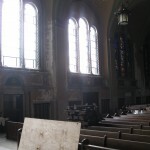 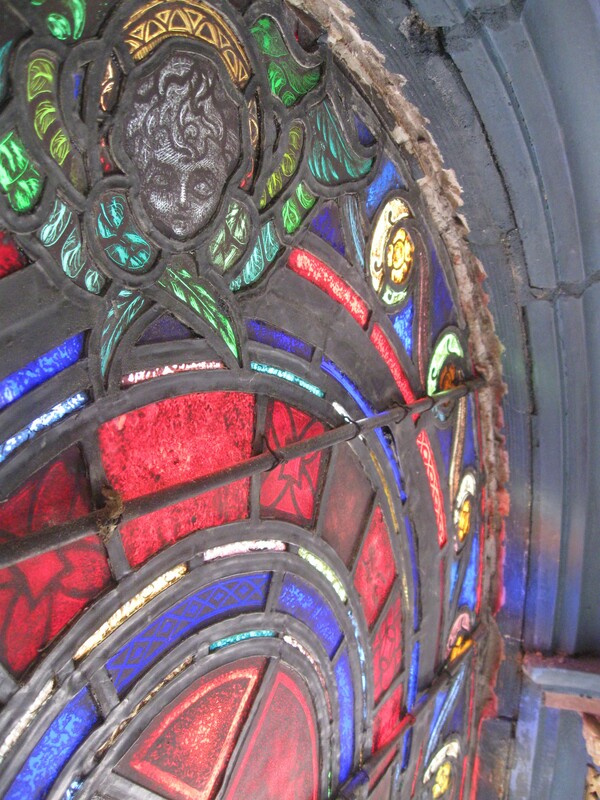 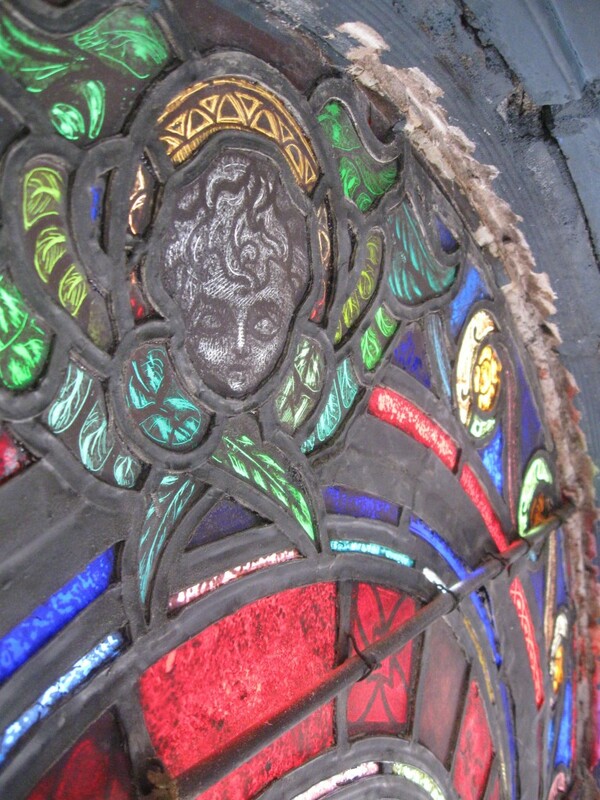 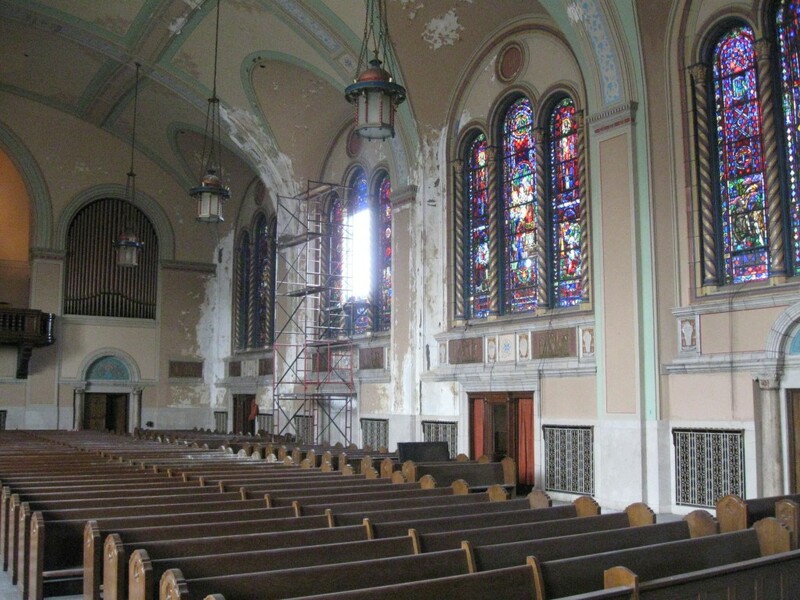 These windows will be restored at the Beyer Studio for use in the Cathedral. 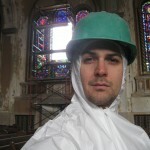 This is Josh. 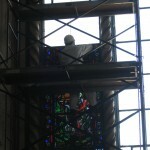 He is leading the removal of the windows. 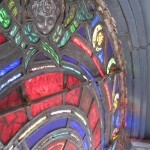 The stone frame and decorative pillar of a window in Ascension Church. 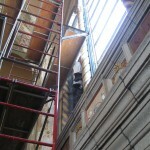 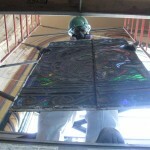 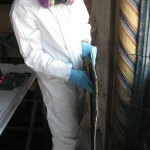 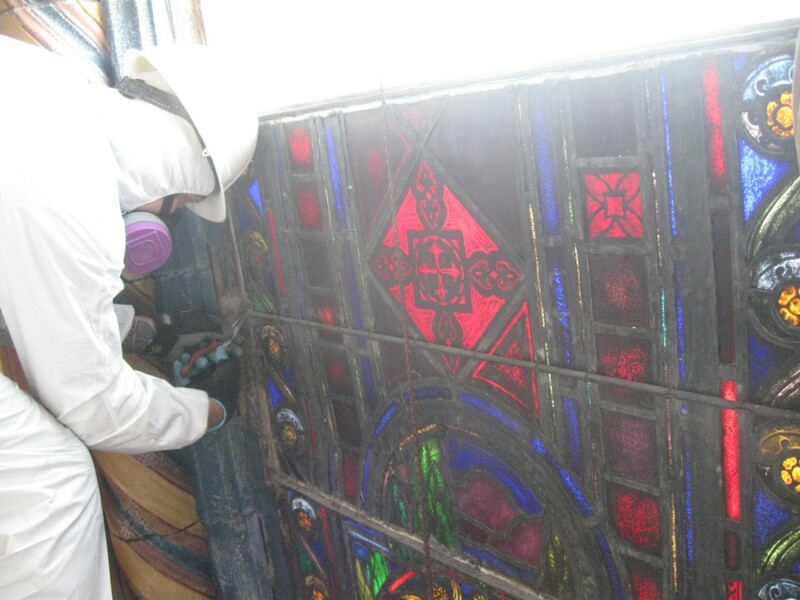 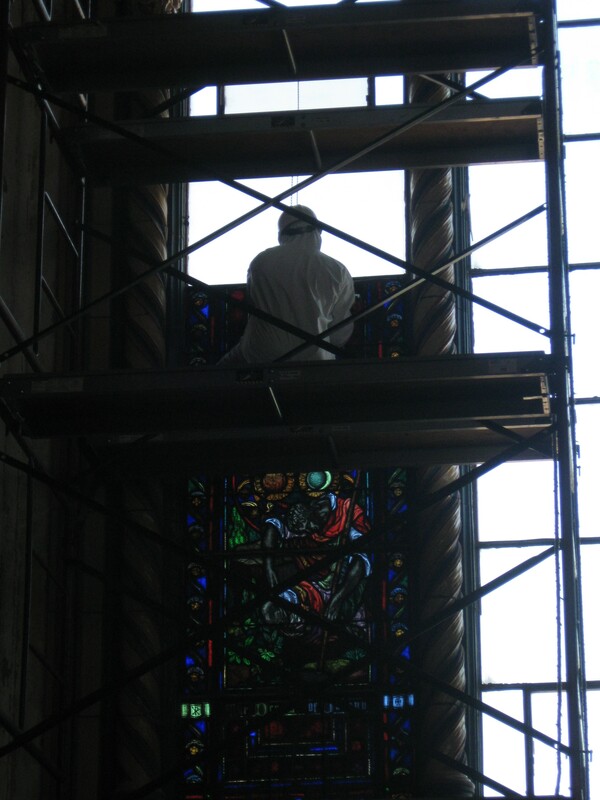 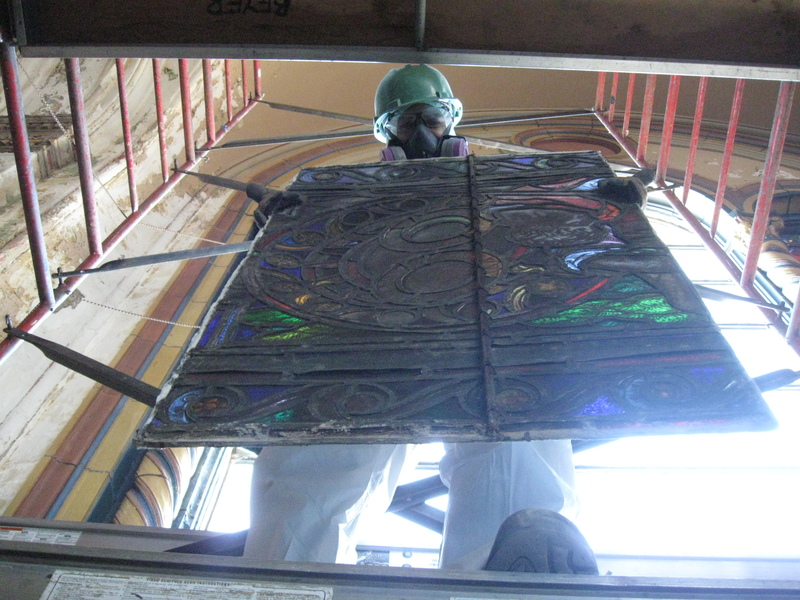 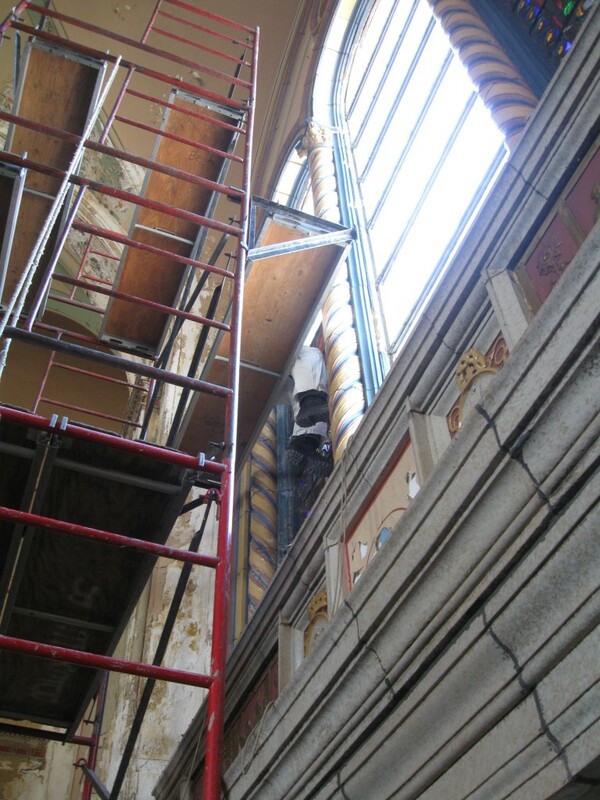 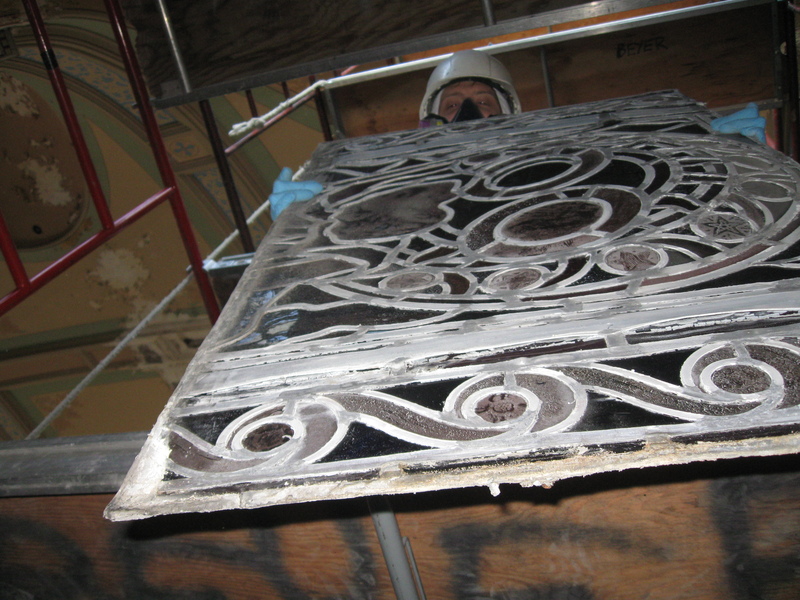 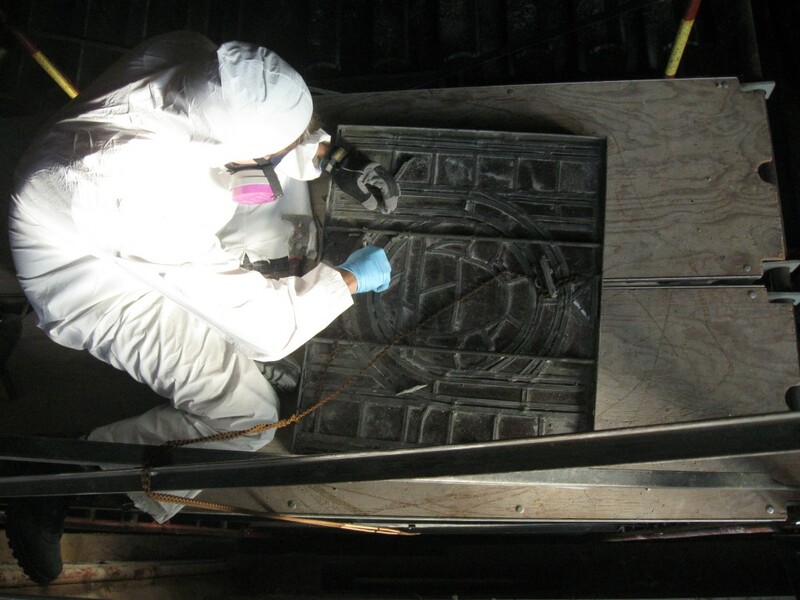 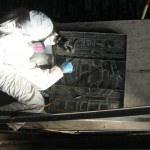 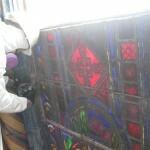 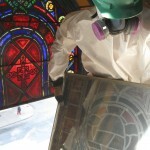 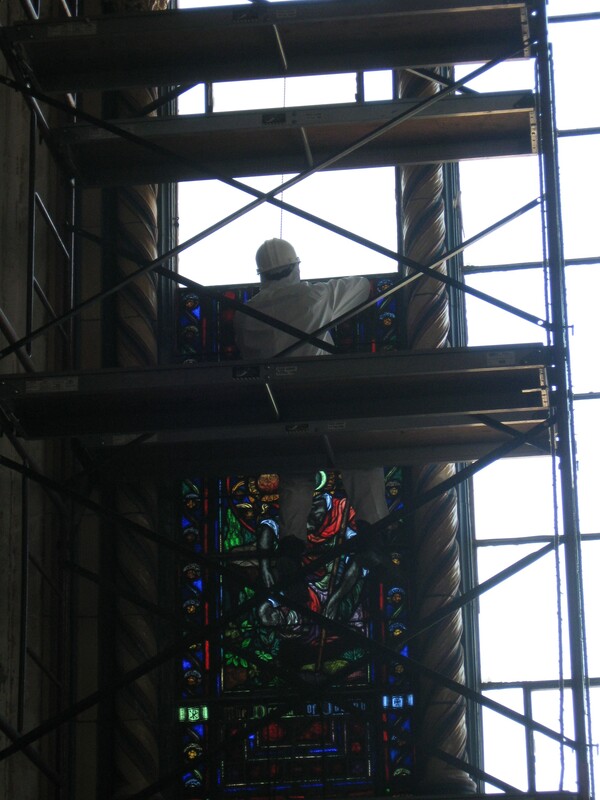 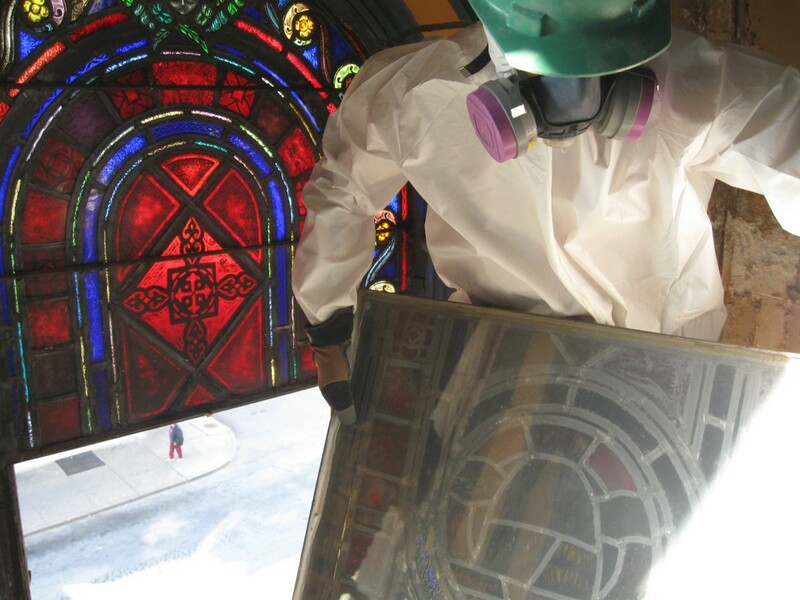 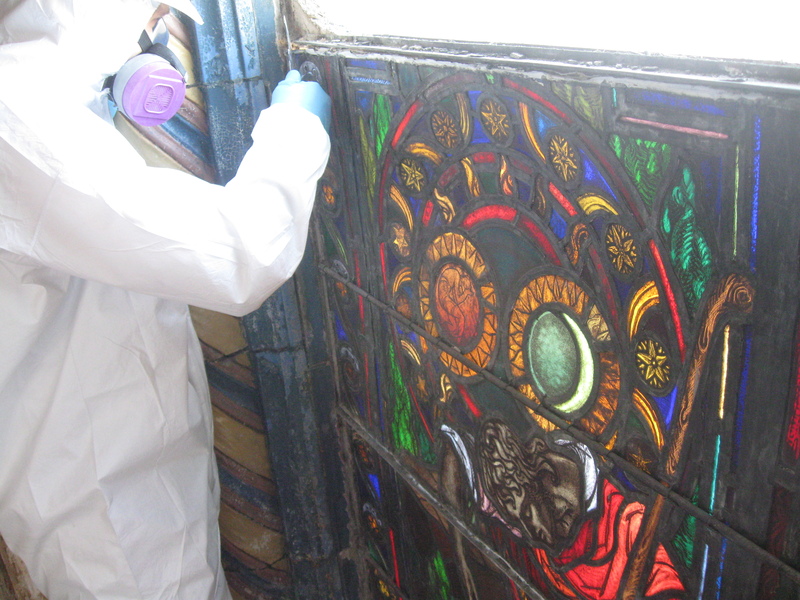 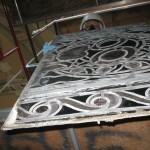 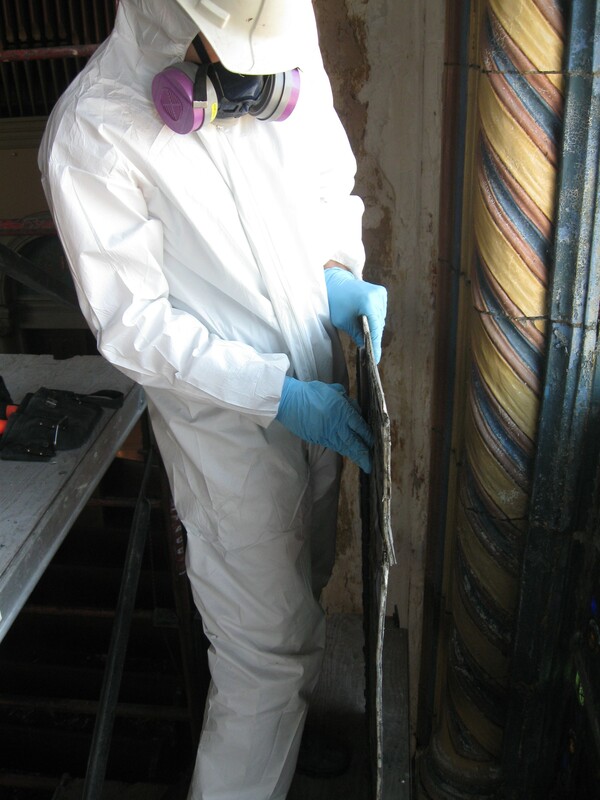 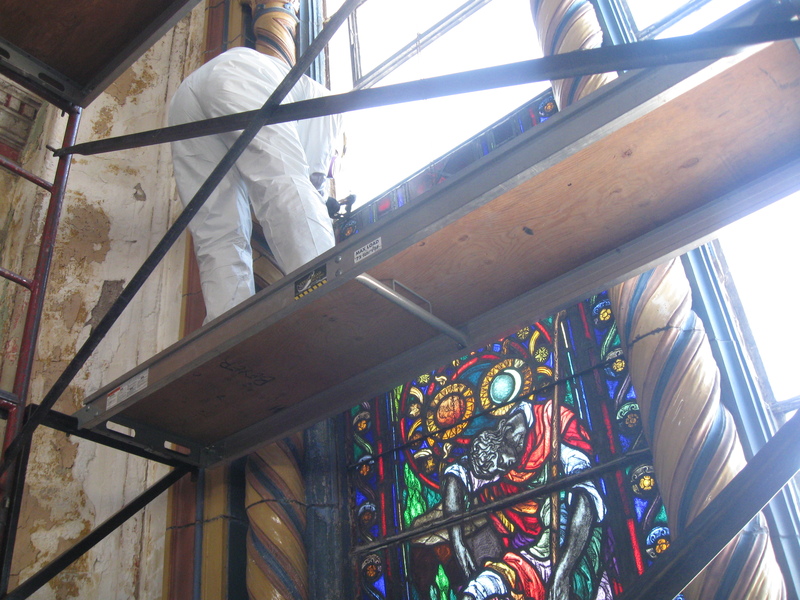 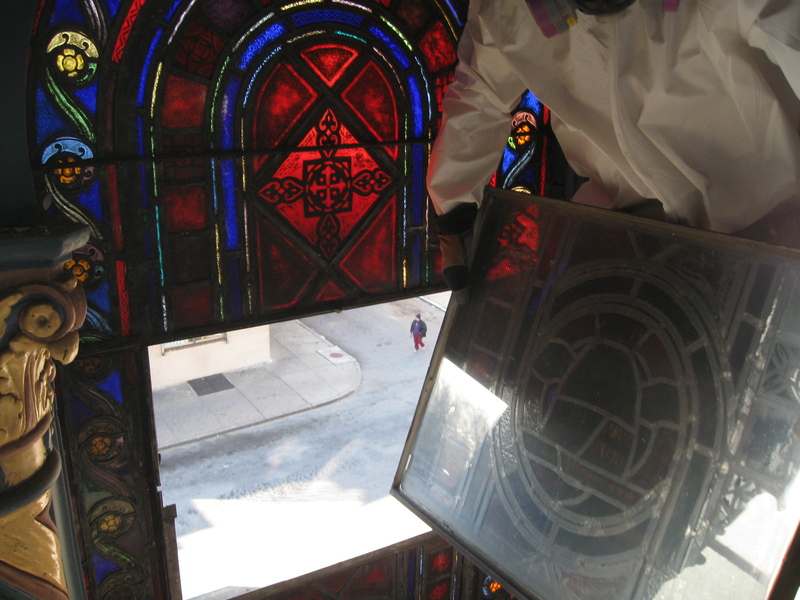 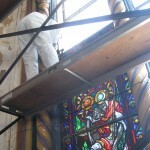 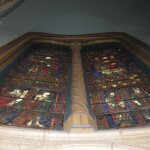 Stained Glass panel being removed from a vent frame. 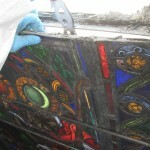 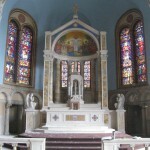 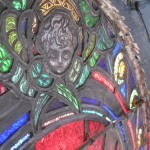 A panel of stained glass as it is removed from its frame. 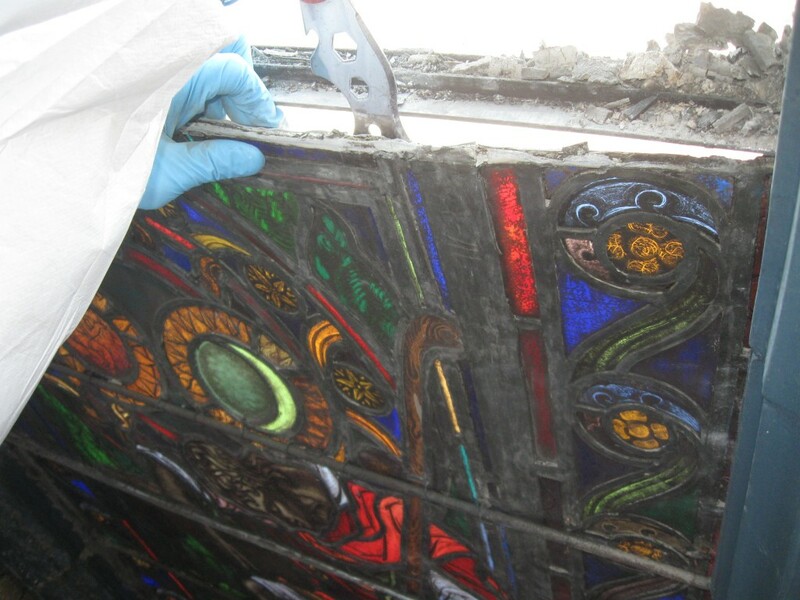 A panel of stained glass just removed from its frame. 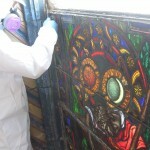 A panel of stained glass being passed down the scaffolding. 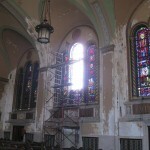 This picture gives you a sense of just how large these windows are. They are very large. 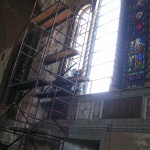 Scaffolding set up next to a window at Ascension.